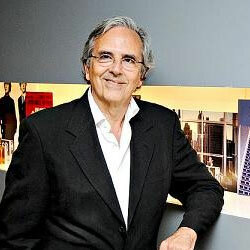 Carlos Benaim is a master perfumer for IFF. He was born and raised in Tangiers, Morocco where his father worked as a pharmacist with a passion for essential oil extraction. This led to his studies of chemical engineering and eventually the Internation Flavors & Fragrances training program in 1967. Benaim continued working for IFF and became the company's first Master Perfumer in 2013. In 2004 he received a Lifetime Achievement Award from the American Society of Perfumers. In 2014 he received the Fragrance Foundations Perfumer of the Year Lifetime Achievement award.